Oil and gas giants spent tens of millions of pounds lobbying key decision makers ahead of global climate talks and big changes to UK energy policy, according to a Greenpeace investigation. The analysis of accounts, LinkedIn and other data also revealed that oil and gas firms held more than 143 meetings with ministers between October 2013 and March 2015. At least 10 employees working in government relations for oil and gas companies used to work in politics. In one case a former private secretary to William Hague and Philip Hammond now leads “government relations” for Shell. UK government policy has recently moved to become more favourable to gas, with recent speeches on energy using similar spin to that deployed by the industry. How much has the gas industry spent on lobbying? How many meetings have they had? Where did gas lobbyists work? Calculating the amount spent on lobbying by fossil fuel giants is nearly impossible, as the industry is shrouded in secrecy. A search through the annual accounts of trade associations like Oil & Gas UK and the Energy Industry Council revealed that these bodies had a turnover of £39.7m. Though this figure will include a range of activities and business expenses the associations exist largely to lobby on behalf of their members. As much as 33.3 million euros (£26.4m) were spent by companies lobbying decision-makers in Europe. Greenpeace investigators arrived at the figure by trawling the European transparency register. The figure is likely to be a significant underestimate as the reporting by companies to the register is voluntary. 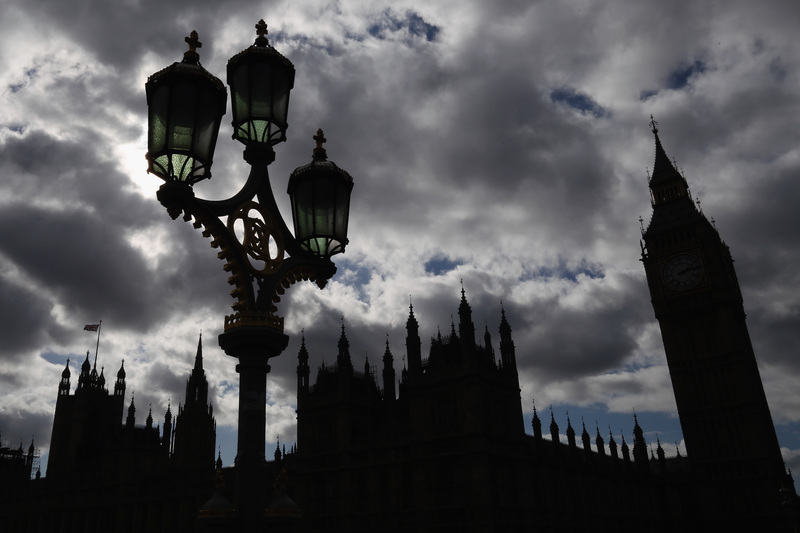 Companies also hired firms in the UK to lobby the government directly. Our investigation found that at least 30 different lobbying firms were employed to push the industry’s message between September 2014 and August 2015. Bell Pottinger, which has a turnover of £41.7m, represented five energy giants, including British Gas owner Centrica. Edelman, which calls itself the world’s largest PR firm, represents Anglo American, Chevron, ExxonMobil, Shell, EnergyUK and the Task Force on Shale Gas, in the UK. None of the firms would tell us how much they had billed their fossil fuel industry clients. And the scale of funding available to trade associations gives fossil fuel companies another avenue to influence policy makers. The Energy Industry Council (EIC), which had a budget of £8.6 million last year, offers members the opportunity to build links with government officials and UK embassies through regular trade delegations. EIC trips next year include Iran, Algeria and Nigeria. The investigation also revealed the close relationships between the firms and the UK government. British Gas owner Centrica employs three people with links to the Conservative Party in its communications team. Benedict McAleenan, the company’s public affairs manager, was formerly Tory campaigns manager from October 2006 to September 2010. Head of public affairs for Centrica, William Heald, interned for William Hague in 2008. Before becoming the company’s director of public affairs in September 2014, Sarah Richardson was a Conservative Party election candidate for the European Parliament in 2004 and 2009, and ran to be an MP in 2005. She was also a long-time Conservative Westminster councillor. Beyond Centrica, Greenpeace identified 14 people with experience in parliament who now work in the government relations departments of seven energy companies: Anglo American, BG Group, BHP Billiton, Centrica, Drax, Glencore and Shell. And Shell’s head of UK government relations, Sean Winnett, who received an MBE as a result of his 10 years experience in Whitehall, which included two years as private secretary to William Hague and Philip Hammond at the Foreign Office. In total, using government transparency data, Greenpeace counted 143 meetings in the period October 2013 to March 2015 between government officials and representatives of fossil fuel companies: Shell, BP, BG Group, IGas, Centrica, Statoil, the Oil and Gas authority and Oil and Gas UK. Shell alone held 54 meetings with ministers and advisers, including four with the Prime Minister, in this period. Centrica held 19 meetings with government ministers and advisers in the coalition government, including three meetings with David Cameron. Meetings ranged from discussions with former energy secretary Ed Davey to discuss energy and climate change policy, through to lunches with the Prime Minister held in honour of Premier of the State Council of China, Premier Li Keqiang. Meanwhile, BP held a meeting with cabinet office minister Francis Maude in June last year to discuss “Mandarin teaching”, and arranged for two tickets to a British Museum exhibition to be given to Business Innovations and Skills department special adviser Emily Walch in September 2014. In August, Shell wrote to former development minister Grant Shapps to invite him to sit at their table at an event at Chatham House to be held in October. Emails obtained under the Freedom of Information act show: “Shell is a proud sponsor of the [Chatham House] Prize and hosts a table and we would very much like to extend an invitation to you to attend the Prize ceremony and to join our table in central London on Tuesday 13 October 2015. Normally a senior member of the British Royal Family also attends at the top table.” Shapps declined the invitation due to travel commitments. The industry’s lobbying operation and the election of a majority Conservative administration last year coincided with a shift in the UK’s energy policy towards gas and away from renewables. On November 18th energy secretary Amber Rudd said that the UK would phase out coal fired power stations by 2025 and focus on new gas and nuclear plants, rather than renewables, to fuel the British economy. The speech fitted the spin put forward by the gas industry including a document produced by Centrica, back in the summer of 2014. ‘Energy choices for the UK’ calls on the government to move away from coal to gas and new nuclear. It also dismisses solar and offshore wind as too expensive. Ministers have since made it plain that they felt government policy had focused on renewables at the expense of finding cost effective solutions to Britain’s energy needs. The speech was welcomed by gas industry players at the time, including Cuadrilla and Oil & Gas UK.